The Earth is dying, and our hopes are pinned on Ubastis, an untamed paradise at the edge of colonized space. But such an influx of people threatens the planet's unstudied ecosystem — a tenuous research colony must complete its analysis, lest humanity abandon one planet only to die on another. Haunted by the violent death of her husband, the heroic and celebrated Lasse Undset, Vashti must balance the needs of Ubastis against the swelling crush of settlers. Vashti struggles in her role as one of the few colonists licensed to carry deadly weapons, just as she struggles with her history of using them. And when she discovers a genetically engineered soldier smuggled onto the surface, Vashti must face the nightmare of her husband's murder all over again. Standing at the threshold of humanity's greatest hope, she alone understands the darkness of guarding paradise. "Reed is a skilled storyteller and the world of Ubastis is a vivid creation, with a Muslim culture that is simply part of the overall setting rather than a driver of the plot. Vashti is a troubled, fascinating protagonist whose story ends on a cliffhanger, with greater battles for the fate of Ubastis and her own family yet to come." "Reed writes like a techno-Valkyrie with a flaming sword for a pen. Her prose will cut you, the action will make you sweat, and the characters will break your heart then patch it up again. This is science fiction adventure that attacks you like a Beast." "Marguerite Reed is a brave and audacious writer, with a strong and original voice." 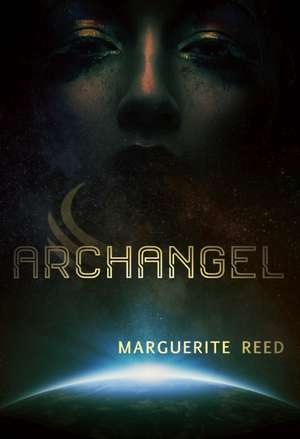 "Author Marguerite Reed's first full-length novel, Archangel, presents readers with a fully formed, well-considered universe populated by believable characters and with a strong yet flawed female hero science fiction fans will love rooting for." Marguerite Reed's short stories have appeared in Clean Sheets, Strange Horizons, and Lone Star Stories. She is a passionate advocate of science and science fiction. She lives just a little east of the 100th meridian with her husband and daughters in Wichita, KS.